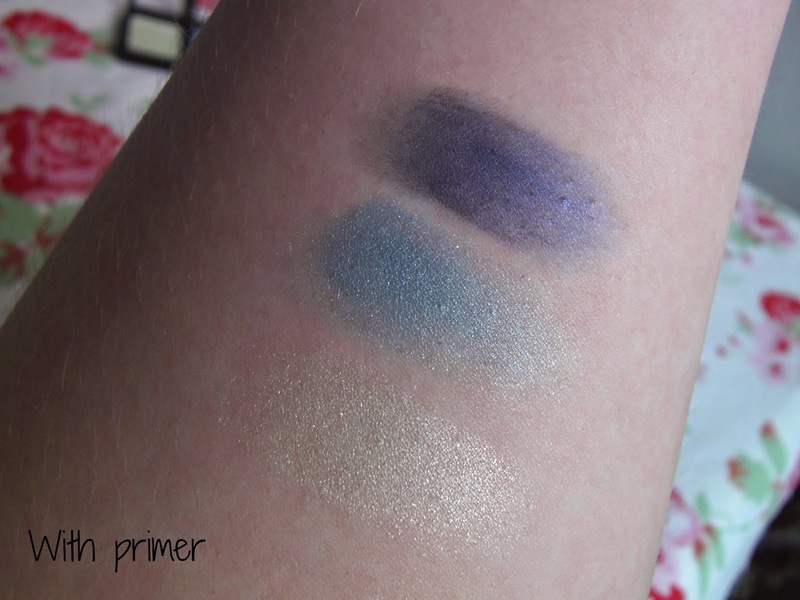 I recently showed you the Revlon Colorstay Shadowlinks in pinks and purples here so go and have a look at that if you haven't read it already... but today it's all about greens and blues! From left to right, the colours are 'Lime' 'Peacock' and 'Cobalt'. Firstly, I'm going to throw it out there that I would never ever ever have picked these colours out for myself, but having played around with them a few times I think they will be really great for summer looks because they're bright and quite fun! 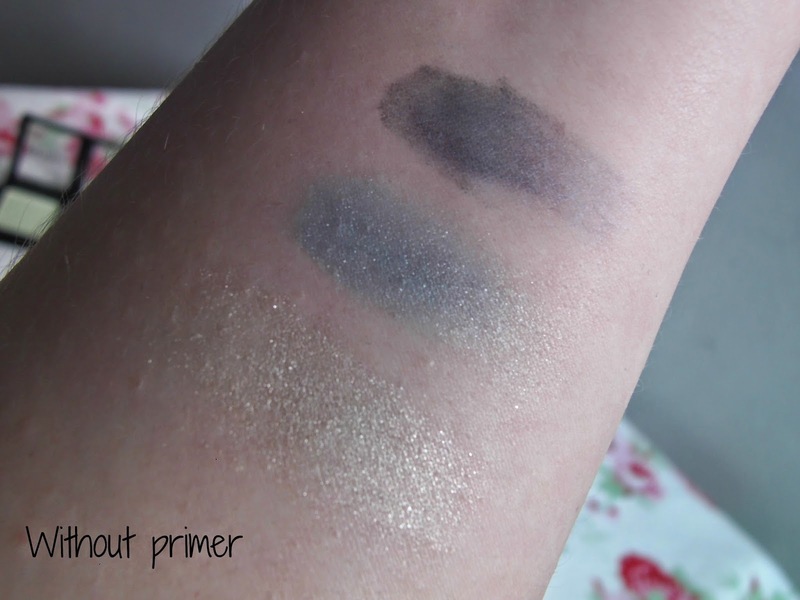 Without a primer, the pigmentation of these is better than with the pinks and purples and you could definitely get away with using them without a primer if you don't need one anyway. But with a primer, the colours are vibrant and strong which is great considering these are only £2.99 each! As I said, I've played around with them a few times and the three work really well together. I really like 'Peacock' as an all over lid colour, 'Cobalt' in the crease and on the lower lash line and 'Lime' makes a really nice change from a white shimmery inner corner highlight - it's shimmery and light but very different and I think it looks really cool! They blend really nicely on the lid and they have a really nice texture, although 'Lime' is a little bit chalky in the pan but again, I'd put that down to the shimmer/glitter and on the lid it's not an issue for me! I'm really impressed with these three colours - hopefully I'll be brave enough to post some looks using them soon! What do you think of the Revlon Colorstay Shadowlinks?